Who wouldn't want one of these birthday cards? I know I would!!! 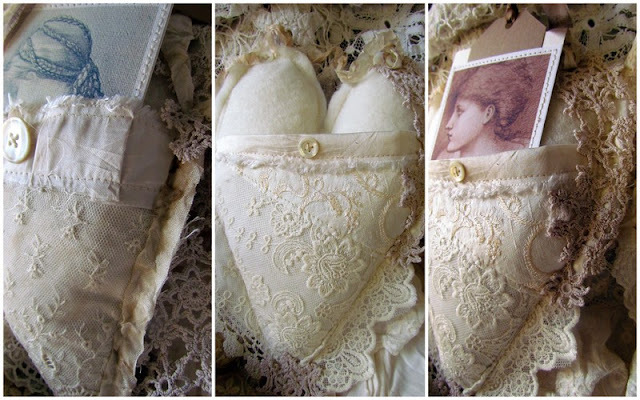 They are adorable dearest, love their beauty of the laces, and old beautiful images.Such sweetness with the pocket to add a sentiment, or image like you did. I totally love them my sweetheart Suzy. The hearts and cards are beautiful, dear Suzy! Your friends will be very happy. It's great that you have some fun playing in your new studio.